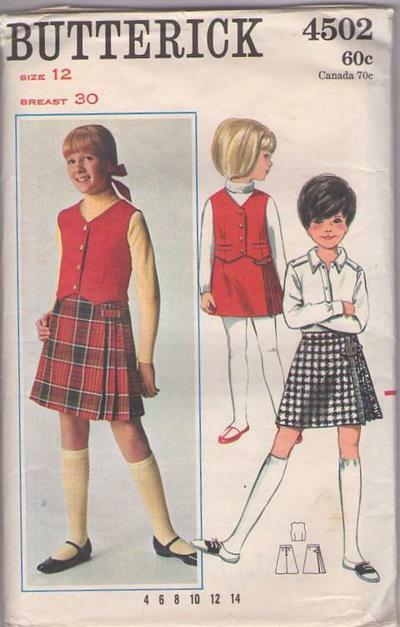 60s Children, Retro School Clothing Patterns - WESKIT AND SKIRT. Fitted weskit with welt trim is lined to edge. Skirt with mock front opening and left side pleats is darted onto waistband. Purchased buckle and fringe trim. Sweater not included in pattern.